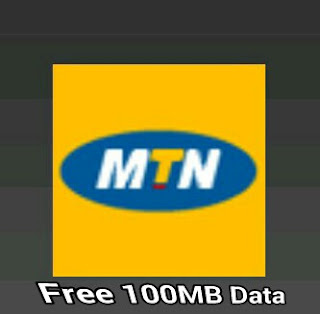 MTN Nigeria is compensating its users with a free 100MB data. And this compensation, is due to the reason for poor network service experienced by their customers few days ago. Hope you are not missing out, enjoy MTN free call service now. Although, they made the notice concerning this poor service two days ago, to their customers both on Facebook and twitter, informing them about their plans on fixing the problem. Now, it seems the poor network service which was fluctuating has been fixed. And because of that, they now choose to send each and every of their customer that experienced this issue an SMS,containing the free 100MB data that is been given out. So, as you may know, this free data stands for peace, and is just to free the mind of their customers from the bad experience. And also keep them engaged to their valued services. So, it's just a way of saying sorry to their customers. Note: The MTN free data can be used to browse online, stream videos online, chat on all social medias like whatsapp, Facebook, bbm, instagram, Skype etc Download apps, games, videos etc. And it doesn't select phone, as it works on all internet enabled devices, as well as PC. If you've not gotten yours, just relax and wait for them to send your own 100mb data for free of charge. You may have gotten yours without knowing, so check your message inbox, and also dial this code *131# and reply 4 to check your data balance. Now, tell us if you've gotten your own free 100MB from MTN through below comment box. Thank you.